On Friday afternoon, thanks to the generosity of a writer friend, two of us had lunch in the East Room at Plassey House on the campus of the University of Limerick, at a window looking out onto grass lawns, and the ‘Living Bridge’ over the Rover Shannon, that links the south bank of the campus in Co Limerick with campus on the north bank of the River Shannon in Co Clare. Plassey House, at the heart of the campus, provides a focal point for the surrounding area, and is an elegant example of a Georgian villa style country house. 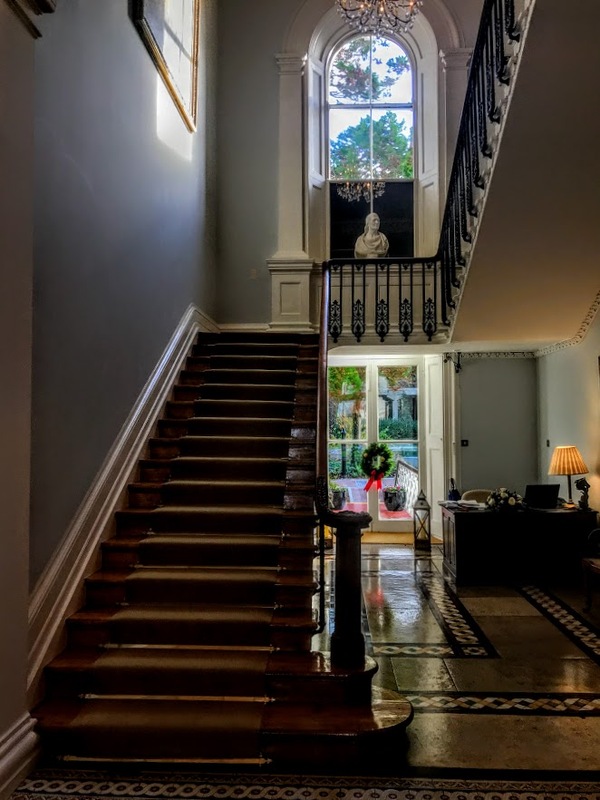 It was first built around 1770 and was rebuilt in the 1870s in the Italianate style. Plassey is on the edges of Limerick City, about 5 km upstream on the River Shannon from the city centre, near the suburbs of Castletroy and Monaleen. The University of Limerick has its main campus here, and Plassey House, once a country house, now serves as the university’s administrative centre. The name of both Plassey House and the former Plassey Estate, beside the village of Quin in Co Clare, were inspired by a famous victory by Sir Robert Clive (1725-1774), Lord Clive (‘Clive of India’). The Battle of Plassey or Palasi was fought in Bengal on 23 June 1757, and led to the British conquest of India. A combined French and Indian force had captured Calcutta in 1756, but Clive defeated this force a year later near the village of Palasi, 120 km north of Calcutta. Palasi was the residence of the Nawab of Bengal and he used it as his operation base, and Clive’s victory secured the commercial rights to India for the British East India Company. Clive subsequently gave the name Palasi to the Plassey Estate he acquired beside the village of Quin in Co Clare. When Clive of India was given a title in 1762, it was an Irish peerage with the title of Baron Clive of Plassey, Co Clare, which did not entitle him to a seat in the House of Lords in London. When Parliament began investigating Clive’s wealth, he completed suicide by cutting his throat in his London townhouse in Berkeley Square. His title and estates passed to his son, Edward Clive (1754-1839), who later became Earl of Powis. Clive’s estate in Co Clare was inherited by his descendants, but were sold in the early 1840s by Edward Clive (1785-1848), 2nd Earl of Powis. The Russell family acquired Plassey House near Limerick and also owned the nearby Plassey Mills. 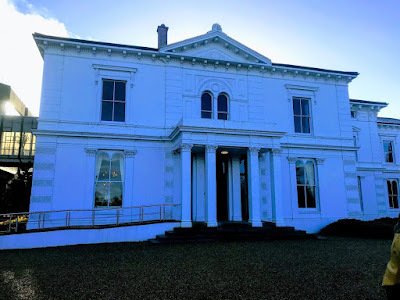 They extended Plassey House around 1875, when the work was designed by the Limerick-born architect William Fogerty, although some sources say the house was designed by Sir Charles Lanyon (1813-1889). Plassey House in Limerick was first built in 1790 by Thomas Maunsell. The Maunsell family were originally from Buckinghamshire. They settled in Co Waterford, in the early 16th century and received lands in counties Galway and Limerick in the 17th century. Richard Maunsell settled in Limerick in the 18th century and was MP for the city in 1741-1761. His eldest son, Thomas Mansell, MP for Kilmallock, married Dorothea Waller of Castle Waller and they had four sons: Richard Maunsell, who died in America; Thomas Maunsell, who built Plassey House; Robert Maunsell, of Bank Place, Limerick; and the Very Revd George Maunsell, Dean of Leighlin. Robert Maunsell had a distinguished career in India and when he returned to Ireland in 1789, he founded Maunsell’s Bank with his brother Thomas and Sir Matthew Blakiston. Thomas Maunsell built his house in an area originally known as Ballykilty, and he named his new home Plassey House to emphasise his kinship with the Clive family. 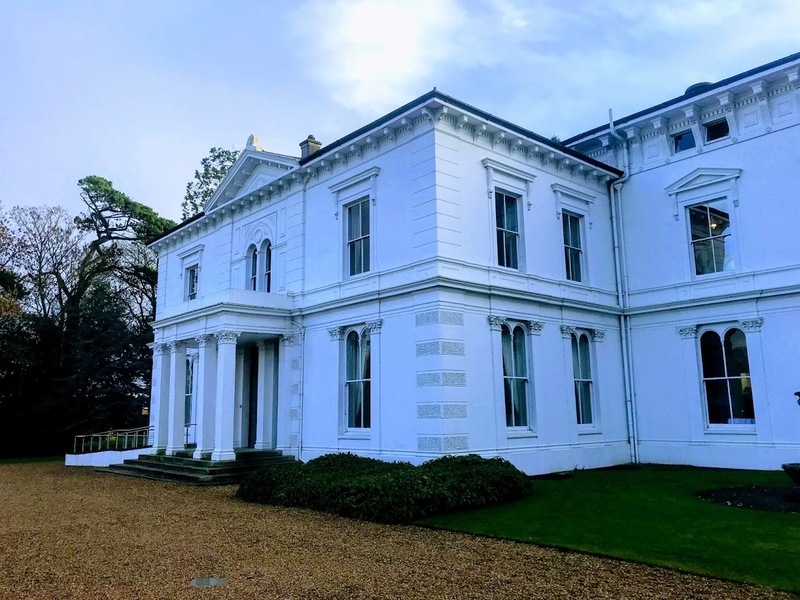 Plassey House was inherited by Thomas Maunsell’s daughter Elizabeth, who married her first cousin, Major Robert Hedges Eyre Maunsell, the son of Dean George Maunsell of Leighlin. From the 1830s to 1850s, Reuben Harvey was living in Plassey House as a tenant of the trustees of Mrs Hedges Maunsell. By 1868, it was the home of Richard Russell. The Maunsell and Russell families were related by marriage and Richard Hedges Russell established the Russell Mills in the 1820s. By the 1860s, the Russells employed over 2,000 people in Limerick city and owned a large fleet of sailing boats and steamships. The family was hit by tragedy when the brothers Richard and Francis Russell died on the same day, 29 August 1871, in strange circumstances. Plassey House was the home of John Norris Russell in the 1870s. Later, it was the home of the Bailey family (1905-1932), before it was acquired in 1933 by Patrick Keating from Co Clare, who had made his fortune in China and lost it again in the economic upheavals of the day. When Patrick Keating died in 1961, the estate was bought by the Rehabilitation Institute of Ireland, and then in 1970 by the new National Institute for Higher Education. Thomond College of Education, Limerick, was also located on the same campus and was later dissolved and integrated into the university. Moves to establish the University of Limerick can be traced back to 1845, when the Mayor of Limerick led a delegation to London to argue the case for Limerick as the location for one of the proposed Queen’s Colleges. However, Cork and Galway were chosen instead. People in Limerick were not impressed, even when the project was described as ‘Ireland’s MIT,’ and the demand for a traditional university persisted for many years. Other sites had been proposed for the campus, including the vacant Mungret College near the cement factory, an adjacent site near the Raheen industrial estate, and an old military camp at Knockalisheen. Plassey House and 240 hectares of prime agricultural land were bought for £70,000, providing a unique riverbank campus, with wooded rolling lands and islands. A 20-year plan for a university of 8,000 students was drawn up, with a commitment to quality through architecture of the highest standing and an environment where teaching and scholarship of excellence would be planned and implemented. A pilot group of 100 students was enrolled in the old house on the campus site at Plassey House in 1972, and the project attracted funding from the World Bank and the European Investment Bank. The University of Limerick was established by legislation in 1989, becoming the first new university in the history of the State. By the time it celebrated its 25th anniversary in 1997, the University of Limerick had made its mark nationally. Plassey House is a detached L-plan multiple-bay two-storey country house, first built around 1770, and rebuilt in the 1870s. 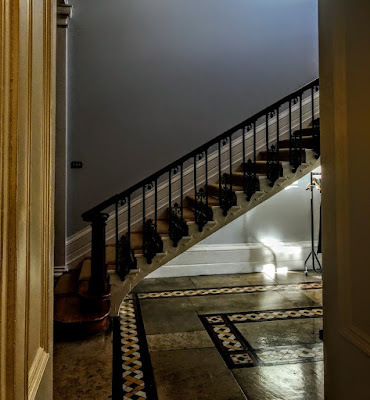 The house was redesigned in the Florentine palazzo style by the Limerick-born architect William Fogerty (1833-1878), who practised in Limerick, London, New York and Dublin. Fogerty was born in 1833 or 1834, the second son of John Fogerty of Limerick, and a younger brother of the architect Joseph Fogerty. He began practising as an architect in Limerick with his father in the 1850s, and was working from 97 George’s Street, Limerick, in 1861-1863. 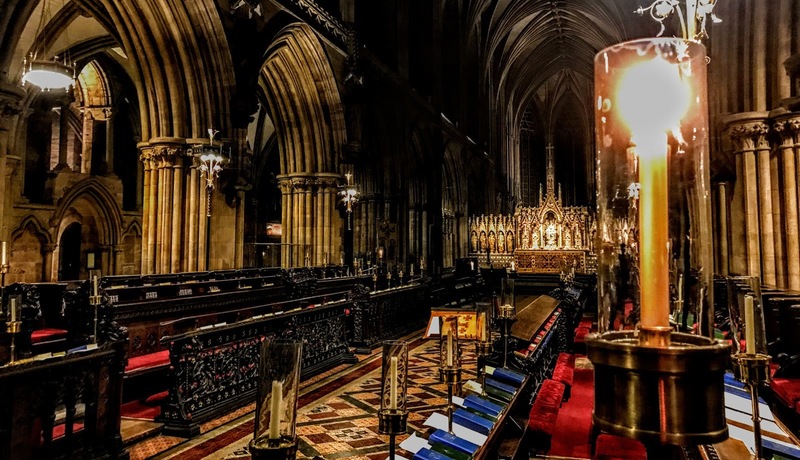 His other works in Limerick include the Protestant Orphan Society Hall, the apse in the former Holy Trinity Church, Catherine Street, the Tait Memorial Clock in Baker Place, Adare Methodist Church, Adare Courthouse, and the Goold Cross in Athea. https://www.patrickcomerford.com/2018/11/a-high-cross-in-athea-recalls-kind.html He announced in the Irish Builder on 1 March 1875 that he had resumed practice at 23 Harcourt Street. His works in Dublin include the Scots Presbyterian Church in Abbey Street. He continued to practise from 23 Harcourt Street until his untimely death from smallpox at the age of 44 on 22 May 1878, having been ‘in excellent health up to the period of the fatal attack.’ He was buried in the graveyard at Saint Munchin’s Church, Limerick. He was survived by a young son, John Frederick Fogerty, who also became an architect. The main part of Plassey House is a three-bay front block with a pedimented shallow breakfront that has a single-storey portico. 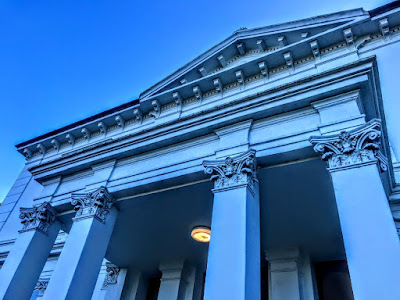 This portico has Corinthian style columns supporting an entablature with render cornice. The square-headed opening has a glazed overlight over half-glazed, double-leaf timber panelled doors with flanking sidelights. Inside, there is ornate cornicing to interior. There is a recessed, two-bay, three-storey block to the west with a two-bay, two-storey extension, and there are recent extensions to the rear. 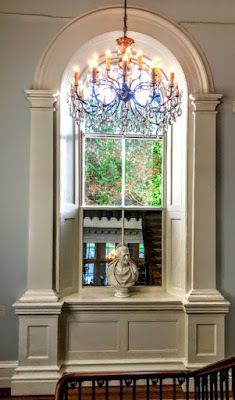 The square-headed openings on the ground floor have two-over-two pane timber sliding sash windows with flanking Corinthian style pilasters and render sills. 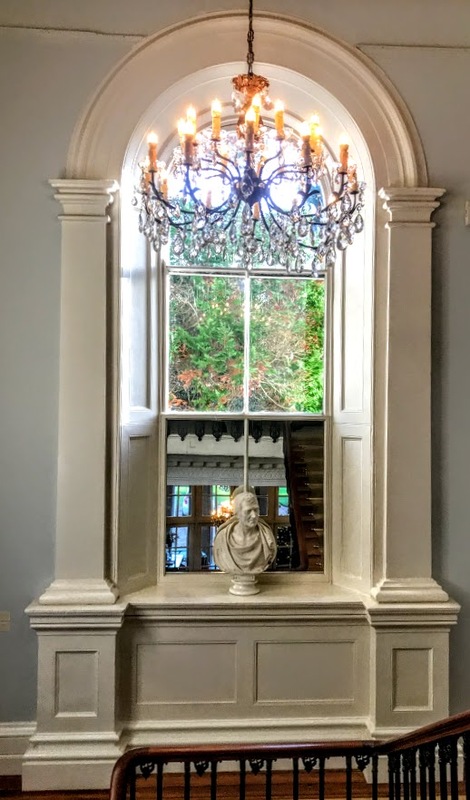 There are square-headed openings on the first floor with two-over-two pane timber sliding sash windows, render entablatures, sills and continuous sills course. Those on the west block have pedimented architraves. The rendered walls have quoins and plinth courses. 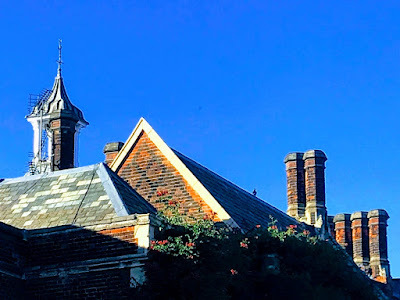 The house has hipped slate roofs with a bracketed eaves course and rendered chimneystacks. The fountain in front of the house is said to have been excavated from the ruins of Pompeii in 1763. 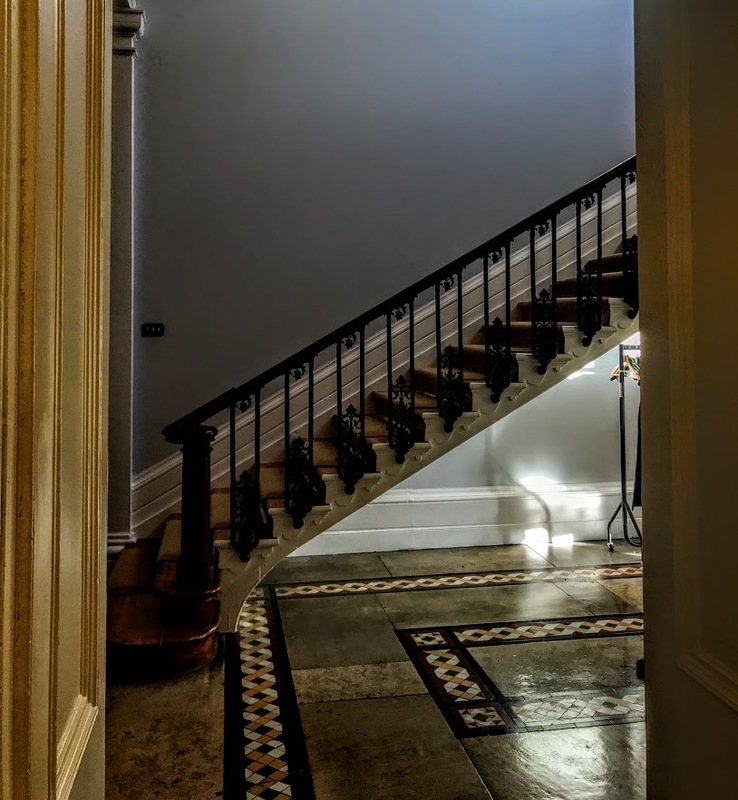 Today Plassey House is at the centre of the University of Limerick, housing the offices of the President and his immediate staff, and hosting important meetings and events. Plassey House also houses some of the university’s visual art collections, including the National Self Portrait Collection of Ireland and the Irish American Cultural Institute’s O’Malley Collection, which includes paintings by Mainie Jellett, Evie Hone, Paul Henry and Jack B Yeats.